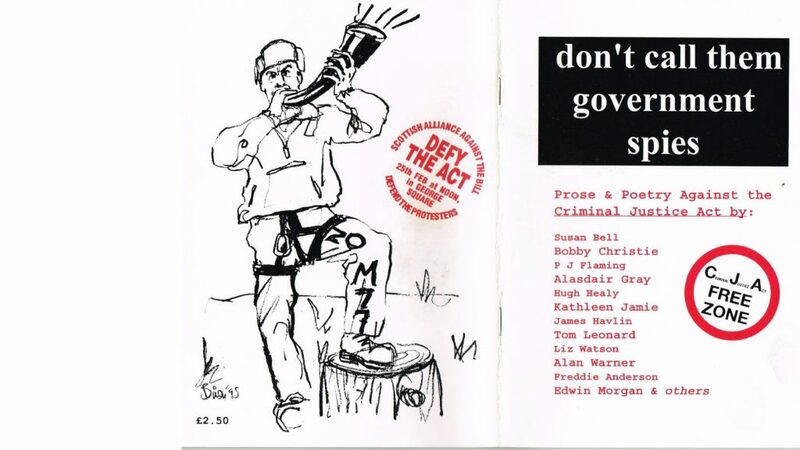 April Read of the Month is again taken from the John Cooper Collection TSOR 3-52-110, “Don’t Call Them Government Spies.” A collection of poems and prose against the Criminal Justice Act, edited by Jim Ferguson & Andy Lewis. Published by Scottish Defiance Alliance in association with Neruda Press. It contains works by such well known writers as Tom Leonard, Alisdair Gray, Edwin Morgan, Freddie Anderson and many more. Enjoy.